Auto Portability is the routine, standardized and automated movement of an inactive participant’s retirement account from a former employer’s retirement plan to their active account in a new employer’s plan. 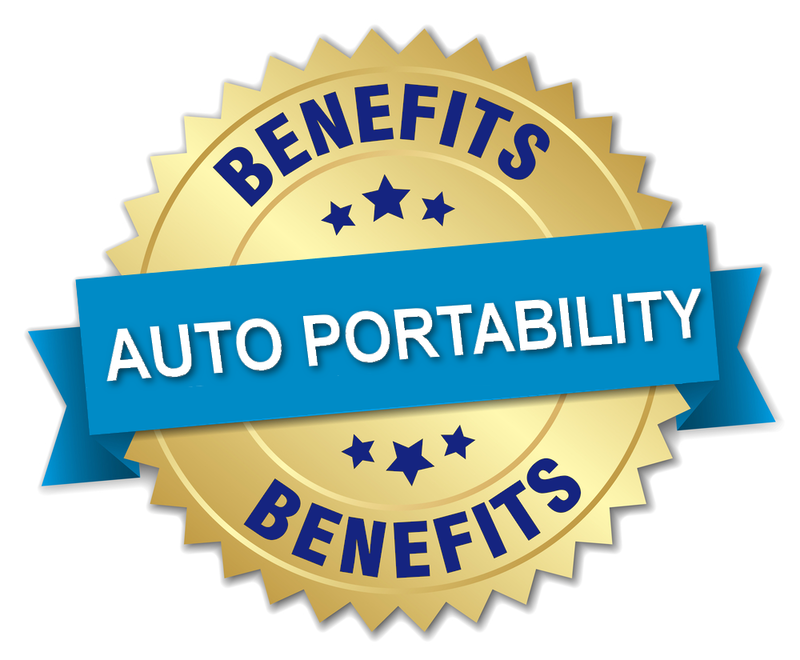 By dramatically reducing cashouts and improving retirement readiness, Auto Portability will deliver broad benefits to America’s defined contribution system, its participants and to the entire American economy. But who benefits from Auto Portability, and how? The Auto Portability Simulation (APS), a discrete event simulation developed in 2016 by Retirement Clearinghouse in conjunction with Ricki Ingalls of Texas State University, and supported by the latest Employee Benefit Research Institute’s (EBRI) job-changing statistics. The Auto Portability Simulation indicates that a program of retirement savings portability, when applied to balances below $5,000, will preserve $156 billion in retirement savings for 81 million participants through the year 2040. When Auto Portability is applied to balances greater than $10,000 and $15,000, the savings grow to $218 billion and $338 billion, respectively. The APS benefit projections are conservative, reflecting 2016 dollars only, with no investment growth assumptions. In 2017, EBRI delivered important research that further clarified the benefits of Auto Portability. Using sophisticated modeling tools, EBRI identified the present value of Auto Portability under various timeframes and balance assumptions. When applied to small balances, EBRI projected benefits as high as $1.5 trillion. When applied to all balances, EBRI projected benefits of almost $2 trillion. The smaller-balance retirement savers in our mobile workforce who are most likely to cash out their retirement savings are over-represented by specific demographic segments. Younger age cohorts, but particularly the 20-29 age segment, where 44% of all participants presently cash out. Lower income segments, including the three lowest income segments below $50,000, where cash out rates range from 36% to 50%. Women, who are from 19% to 38% more likely to cash out a small balance than men. African-Americans, who are 62% more-likely to cash out over time (all incomes) and 134% more-likely to cash out with incomes below $20,000. Hundreds of thousands of qualified retirement plan sponsors will realize benefits from Auto Portability. Plan sponsors in specific segments of the economy with high labor turnover (ex. – Retail) will benefit even more. By addressing their chronic small account problem, Auto Portability will pave the way for these industries to adopt auto enrollment, which has been clearly demonstrated to increase overall plan participation, but particularly amongst minorities. As the adoption of Auto Portability dramatically improves the health, size and scope of the defined contribution system, these providers should realize a considerable economic benefit. Lastly, our entire economy benefits when Americans can afford a secure and timely retirement. By strengthening the defined contribution leg of America’s “three-legged stool,” all sectors of our economy benefit, including the private sector, the taxpaying public and all levels of government. Based on the far-reaching benefits of Auto Portability, it’s no surprise that it’s become a leading public policy initiative.